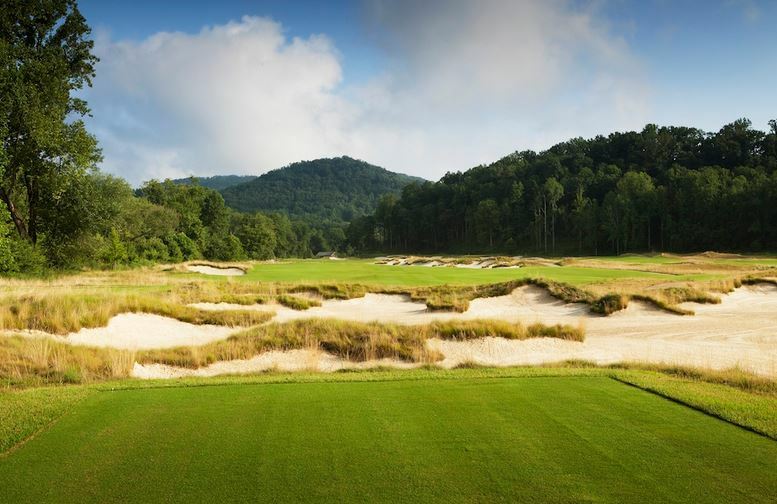 Named one of GOLF Magazine’s “Best New Courses” of 2013, the Gary Player Signature Course at Mountain Park takes advantage of panoramic mountain elevations with 14 holes incorporating the pristine North Saluda River that runs through this community. Set in a valley-type setting and framed by mountains, Mountain Park offers something challenging and unique from the other Cliffs courses. 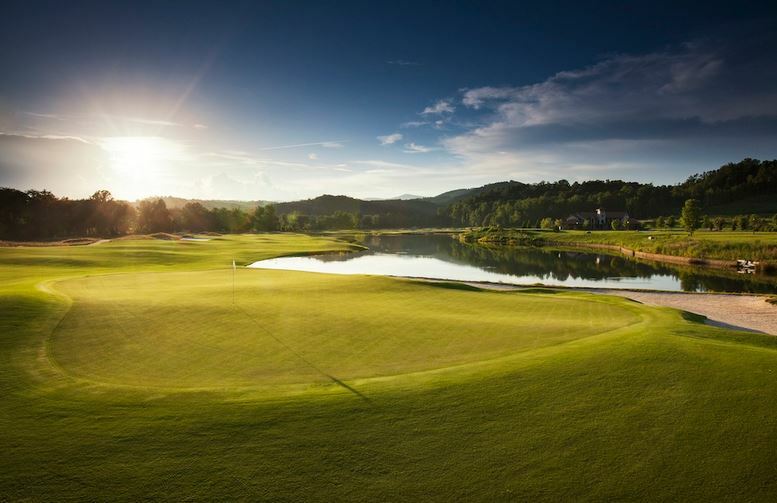 The newest of the seven courses in The Cliffs Communities that stretch across western North and South Carolina, Mountain Park succeeds on numerous levels. It brings old-school elements like big greens, natural bunkering, and open approaches to the very un-Scotland-looking Blue Ridge Mountains. The turf dries unusually quickly considering the topography, trees, and twisting North Saluda River that comes into play especially on the front nine. 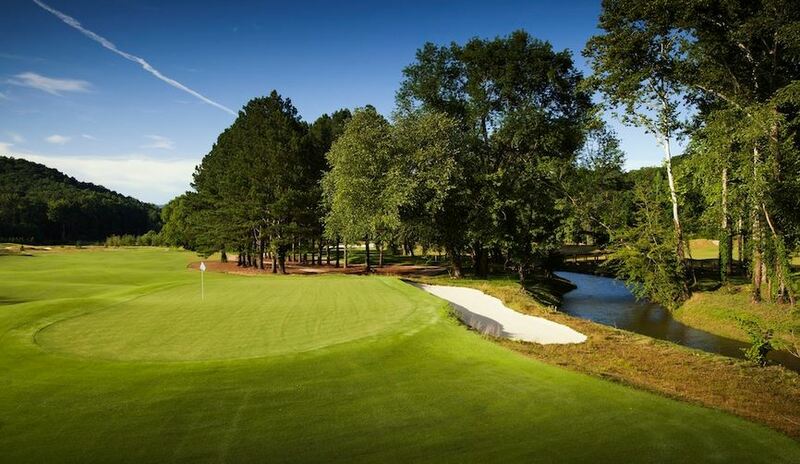 The course is highlighted by two water features: a 12-acre lake that runs along holes 11 and 12, and the North Saluda River, which enters play on eight holes. The 7,218-yard layout offers variety in the form of wide fairways, native landscaping, large and gently contoured greens, and generous collection areas. Bordered by tall trees, the course boasts short distances between the greens and tees, making it very walkable. Down in the valley, expansive greens and surrounding chipping areas put a premium on the short game, a fitting tribute to the strengths of the 78-year-old Player, who still exercises daily—and exercises complete control over his golf ball on nearly every shot, knowing when and how to hit both the low bump-and-runs and high, fast-stopping shots that are necessary for scoring. Most fairways are wide (even if they don’t appear so from the tee), but finding the best angles into greens is essential. Mountain Park is fine fun for all, but will prove especially rewarding for good golfers who can channel Mr. Player and his thoughtful, throwback ways.